MIDDLEBURY, Ind. — The Wyoming™ fifth wheel from Coachmen is all about the finer things in life. It is spacious and features residential appointments. Here is a fifth wheel perfect for full-timers. Consider the Wyoming trailer's size. It ranges in length from 37 feet to 40 feet with six different floorplans. Coachmen has designed large holding tanks and a full 92 cubic feet of lighted, pass-through exterior storage. 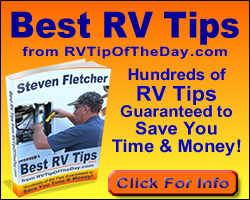 All of this is aimed at making it easier to live the RV lifestyle. That includes maneuvering this fifth wheel. The Wyoming fifth wheel sports the Turn Rite™ front cap — a cap that is notched on both sides, allowing up to a 90-degree turning radius even with shorter bed pickups. A cap-mounted mirror gives the driver a solid view of the hitch from inside the truck for a more confident hookup. Coachmen engineers also paid attention to the ride, and this year added Equa-Flex™ suspension from Trailair. This is a rubber-cushioned equalizer positioned between the two leaf springs. The rougher the road, the more difference this system makes compared with ordinary leaf springs. Equa-Flex absorbs road shock "like a sponge." Inside the Wyoming fifth wheel, you'll find high-line features no other fifth wheel offers at this price. Just about everything is standard equipment, making the buying process easier and ensuring that owners have all the luxury they want. The price of the Wyoming trailer is surprisingly reasonable with the manufacturer suggested retail price starting at $44,800. There are six different floorplans for the Wyoming fifth wheel — four triple slides and two quad slides. All new for 2008 is the 362SIQS. This quad slide fifth wheel has a peninsula galley, rear living area and a side aisle to the bedroom. Like all Wyoming fifth wheels, the standard bed is king-size. The bedroom is finished in richly appointed residential style cabinetry and dressers with plush carpets and upholsteries. There are four fabric selections, including the all-new Baroque Beige and Century Moss, and two wood selections to choose from. The bath has a porcelain toilet, a marbled shower surround with a glass shower enclosure and a skylight over the shower. Each model (except the 362SIQS) has his and hers dual bath lavs for added convenience. The Wyoming fifth wheel kitchens are as attractive as they are functional. A designer pull-out sprayer/faucet, seamless countertops, crown moldings and abundant drawer and cupboard space make meal preparation a breeze. The large window over the sink allows in more natural light. Appliances include a three-burner range with a 21-inch oven, a lighted power range hood, a large 8-cubic-foot refrigerator and a microwave oven. New decorative ceiling lights brighten the dinette and sofa areas, and the residential dinette with four chairs is now standard. The sofa is a class leading 80 inches long — wide enough to comfortably seat three adults. When it's bedtime, the sofa converts into a comfortable queen-size bed. The living area is elegant with its residential cabinet designs, tall ceilings and fluted wood accents. The entertainment center has a 32-inch (HD ready) LCD television and a 5.1 surround sound system with CD/DVD player. Flexsteel® recliners are now standard. Owners even have the option of having a fireplace in their living area. The Wyoming fifth wheel from Coachmen gives new meaning to the phrase "living large." It's the fifth wheel that gives so much more than the competition for the price.